CCS Lavender Spike Oil Essence is a historically documented alternative to turpentine distilled from lavender. It can fully dissolve resins for varnishes, and mix with paints and mediums. Its distinctive lavender scent does not cause chronic health effects such as those associated with the inhalation of fumes from Turpentine or Petroleum Mineral Spirits. 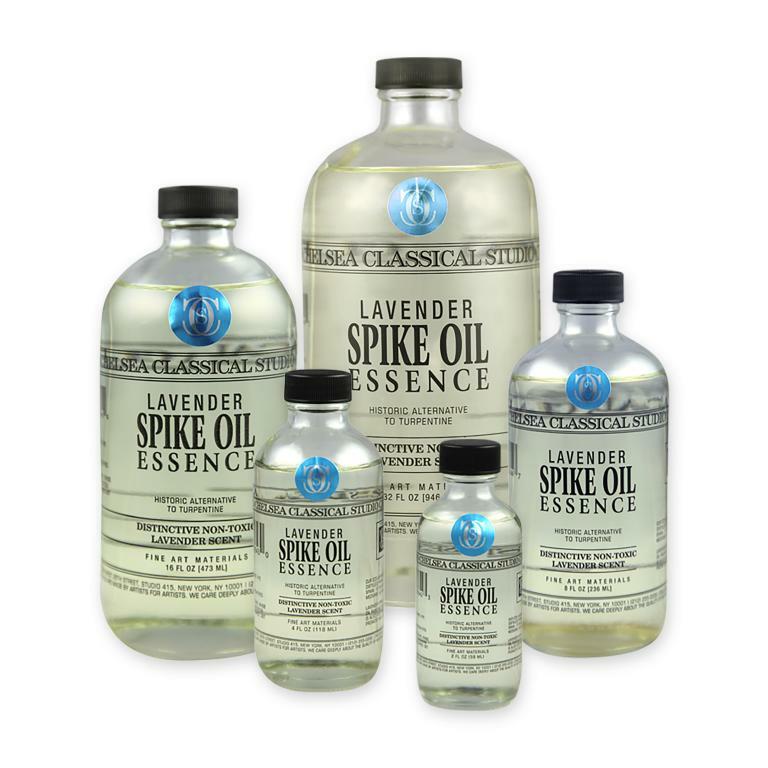 The usage of CCS Lavender Spike Oil Essence and Turpentine are nearly identical. Both are oil painting solvents that are used to thin oil paints and mediums, and to make varnishes like damar.